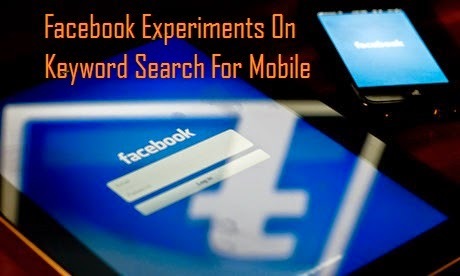 Facebook is testing keyword search for mobile users. It will allow users to search through old posts or pages they have followed according to keyword. It will be based on mobile app for Facebook. For example, if any user X wants to find a post by his friend user Y about his new iPhone purchase, he would type in iPhone user X.
Bloomberg has introduced the news and it seems Facebook is keeping silent about the experiment. It is being tested only on a small scale so far. Lets see how Facebook introduces the new search method.